You may be thinking about rehab treatment for yourself or a loved one. One of the first questions may be what is the difference between inpatient and outpatient treatment? The following is a guide to the general differences between inpatient or outpatient treatment. Inpatient or residential treatment is an intensive program for the treatment of drug or alcohol dependency. It requires the individual to live full-time at the treatment facility, typically for 30-90 days, but can be longer depending on the severity of the addiction or other underlying conditions. This physically removes the individual from the triggers that are found in the outside world in order to stabilize. Residential treatment is a good choice for someone who has previously been unsuccessful in overcoming his or her addiction or has relapsed. Residential treatment is also a better option for those who require a medical detoxification due to the powerful physical and psychological withdrawal symptoms associated with some addictions, requiring the oversight of medical professionals. If the patient has a co-occurring mental disorder, other addiction, or additional health issues, he or she is likely best managed in an inpatient facility. An inpatient facility provides a highly structured environment, which includes regular meetings, counseling, therapy, mealtimes, and other activities. A patient will find substantial support by living in a therapeutic community with other residents facing the same struggles. Residential treatment provides a healthy environment, mostly free from outside distractions that otherwise could prevent the patient from focusing on his or her total well-being, including physical and spiritual health in addition to addiction recovery. Inpatient programs tend to have a higher rate of success due to being isolated in a controlled, safe and secure environment away from the temptations and triggers that led to addiction in the first place. In this way, the patient gets to practice sobriety and become accustomed to abstinence without the negative distracting influences that kept him or her in addiction before he or she goes back to the stressors of everyday life. Outpatient treatment is ideal for the individual who has obligations like work, school, or family that prevent him or her from taking a substantial time off away from such responsibilities. 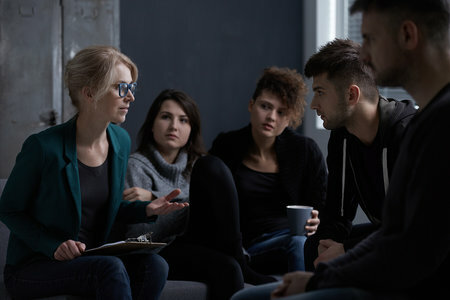 Some people also prefer privacy and anonymity regarding their addiction and do not wish to explain a prolonged absence to an employer or others. An outpatient facility allows you to attend to your obligations while simultaneously focusing on treatment either during the day or in the evening. It provides individual and group counseling as well.. Peer recovery and support is also a significant component due to the limited safeguards and the availability of some of the same triggers and temptations that may be available by remaining in the community. Other benefits of outpatient treatment include the availability of supportive family and friends and the opportunity to immediately apply strategies for abstinence learned in rehab to one’s daily life. Outpatient treatment may also cost less due there being no expense required for room and board. Special care must be taken with outpatient treatment to prevent relapse, however. If the patient is in an environment in which he or she is exposed to drugs or alcohol, the individual will be at a much higher risk of relapse. If you want to know more specifically what the differences are in programs at a particular facility, call to get more details. A qualified professional can arrange an assessment to determine the best course of treatment for you or your loved one.